Banaras Hindu University has started receiving applications for its MBA program in Agribusiness for academic session 2017-18. The last date of application is March 4,2017 and the entrance exam will be conducted on May 28, 2017. PET online Application link will popup. Fill up the required information. Selection will be based on Written Examination,Group Discussion and Interview. 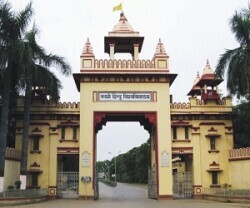 Banaras Hindu University is a public central university located in Varanasi, Uttar Pradesh. Established in 1916 by Pandit Madan Mohan Malaviya, BHU is one of the largest residential universities in Asia.